When it comes to a sweet breakfast option, pancakes and waffles are great, but I’m solidly in the French toast camp. It just has a richness and flavor that can’t be beat. 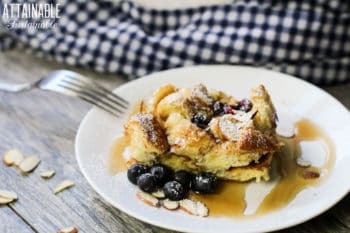 This blueberry French toast casserole provides all the flavor and goodness of French toast, with the ease of a one-dish breakfast. 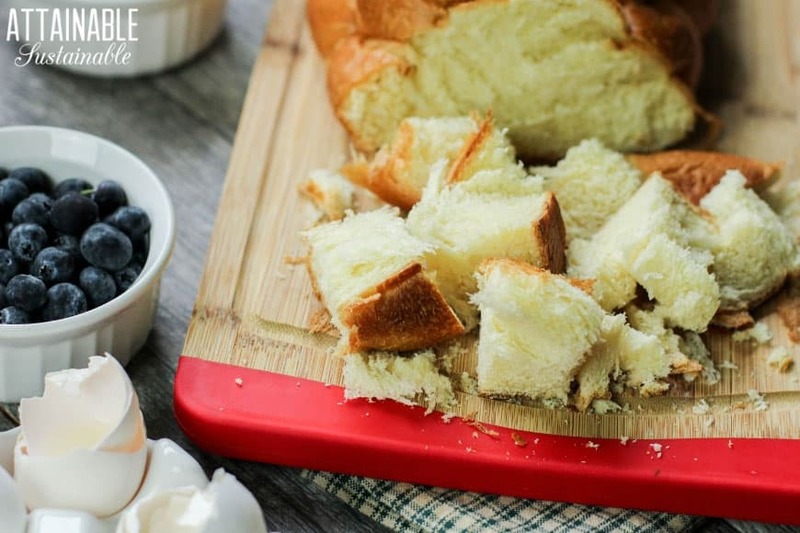 Cut the bread into cubes, put them in a baking dish, and pour the egg mixture over the top. You could stop right there and have a very tasty breakfast. But it wouldn’t be a blueberry French toast casserole, now, would it? One the cubes are saturated with the egg mixture, sprinkle on the blueberries and almonds. The recipe calls for fresh blueberries (lucky you, if you’re growing blueberries in your backyard!) but you can certainly use frozen blueberries as well. And again, while the recipe calls for almonds, feel free to switch it up. Use pecans, walnuts, or macadamia nuts and it will be just as wonderful. 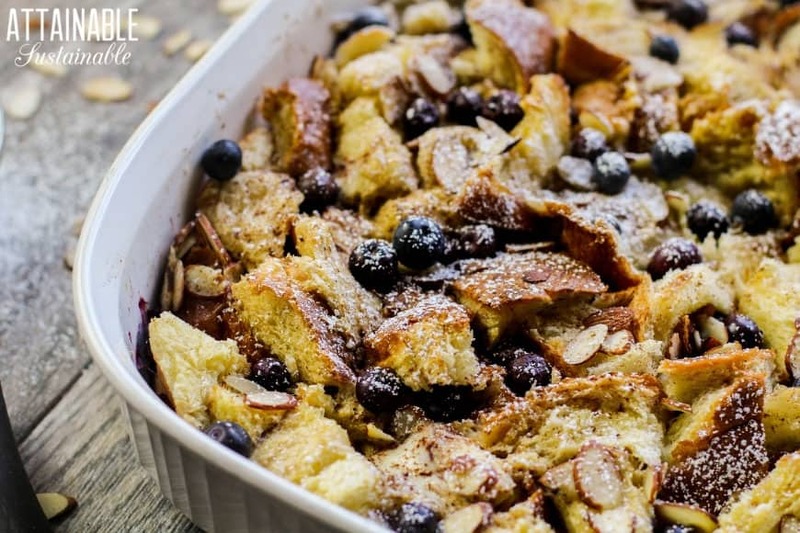 This blueberry French toast casserole is multi-talented. Make it in the morning or make it the night before to get breakfast on the table in a hurry. It’s a great addition to a holiday breakfast or brunch — the blueberries make it special! Serve this French toast casserole fresh out of the oven with fresh maple syrup, your favorite jam or jelly, or a simple sprinkle of powdered sugar. Easier than flipping French toast slices, this casserole makes it easy to serve everyone at once. The make ahead option takes the rush out of breakfast. 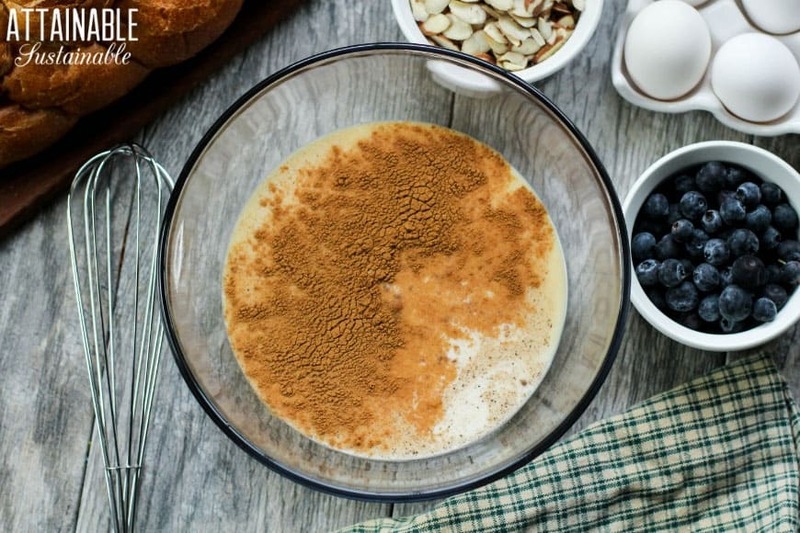 In a large bowl, mix together eggs, milk, vanilla, nutmeg, cinnamon, and brown sugar. Set aside. Grease a 9x13" casserole pan. Spread cubed bread in the dish and top with egg mixture. Make sure all of the bread is coated with the egg mixture. 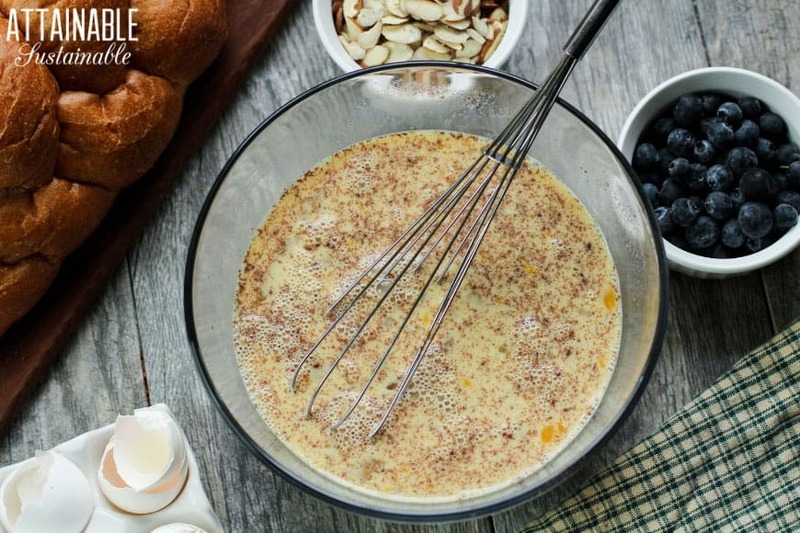 Sprinkle almonds and blueberries over the egg mixture. Bake for 40-45 minutes, or until casserole is golden colored. For a make ahead French toast casserole, cover the dish and store in the refrigerator for 8-12 hours. 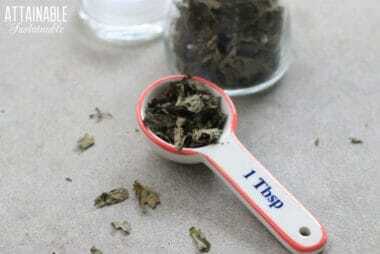 Remove from refrigerator 30 minutes prior to baking. Bake as directed above. A frugal alternative? Use stale bread in this casserole. The recipe calls for fresh blueberries but you can certainly use frozen blueberries as well. And again, while the recipe calls for almonds, feel free to switch it up and use pecans, walnuts, or macadamia nuts. 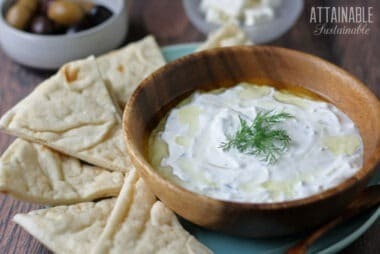 Oh, this sounds absolutely divine! 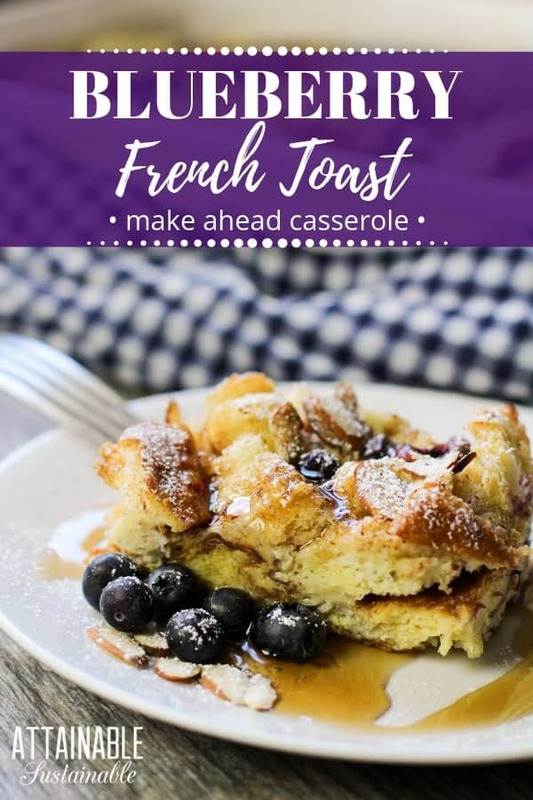 I’ve been meaning to attempt one of these French Toast Casseroles for a while; I just never seem to get around to it. 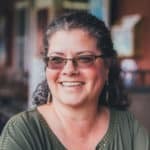 Thanks for the share, and the reminder that I truly need to get on the ball with giving it a go!